The moors above Matlock have been improved and afforested in the last century or so. It's difficult today to see the moors of Blackbrook, Tower, Farley, Matlock, Upper, Middle and Bottom Moors as being an extension of the gritstone uplands that make up the Eastern Moors; well known for their Bronze Age monuments and settlements. But these southern reaches of the Eastern Moors too once had monuments, the stone circle of the Seven Brideron/Bretheren on Middle Moor and the cairn circle at Woodbrook both lost to quarrying and afforestation. 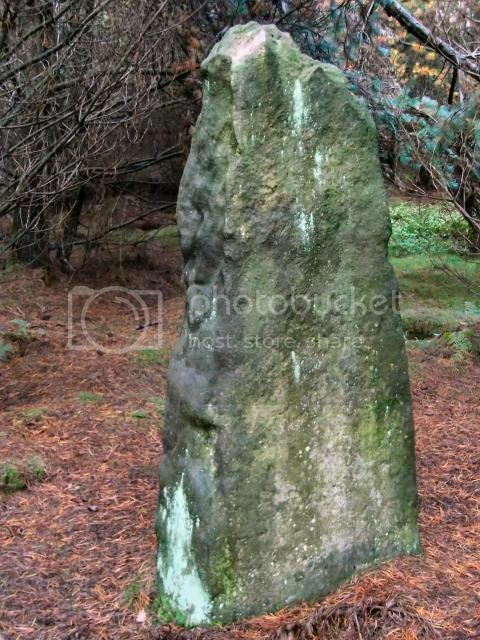 There is however perhaps a forgotten survivor of the Bronze Age in the forest on Farley Moor, a weathered stone some 6ft tall. I first noticed the stone marked on the first edition O.S map of 1883, 1:2500, several years ago. Standing in what would've been open moorland at the time, on the modern 1:25000 map the stone is now in a plantation. Luckily Google Earth showed a large clearing had been cut in the plantation meaning the stone should be just in the trees at the edge of it. 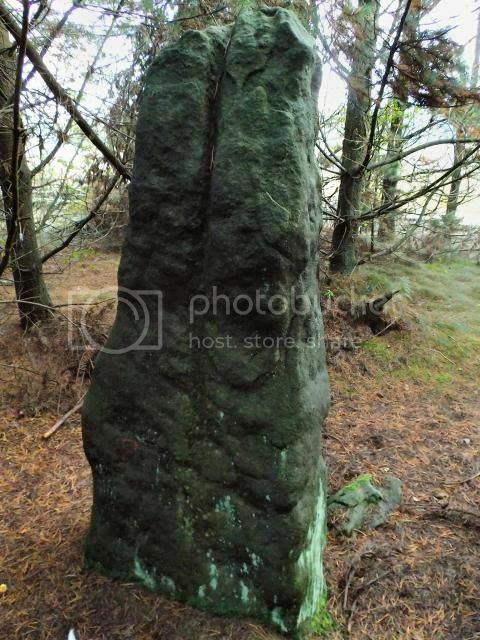 I contacted the Peak Park Board and the Forestry Commission to see if they had any information on the age or uses of the stone and was pleased to hear that archaeologist John Barnatt and Frank Robinson had visited the stone in 2003. They were suitably impressed and suggested the stone to be prehistoric due to its position and weathering. If it is prehistoric then it is the 3rd tallest standing stone on the Eastern Moors after the, now felled, Old Woman's Stone on Bamford Moor and the other at Gardom's Edge. The Forestry Commission knew nothing of the stone apart from its position although they do plan to clear more trees in the area.